2008 Against the Spread: 11-2. 2009 Odds to win BCS Championship: 2/1. Overview: There are many reasons why Florida is the unanimous pre-season No. 1 team in the country and the odds-on favorite to repeat as the BCS champion. There are very few reasons to merit betting against the Gators if you are in the business of making college football picks. So don't. Although Florida's high-powered, fan-friendly spread offense gets most of the headlines and highlight reels, Urban Meyer's squad returns the core of its National Championship team with a defense intact that might be just as impressive. Although most Florida backers can rely on the fact that quarterback Tim Tebow is capable of carrying the Gators on any given day, this year's club comes with an added insurance policy in its defense. Thus, it's possible that Florida could win even if an opponent finds a way to force Tebow into an off day. 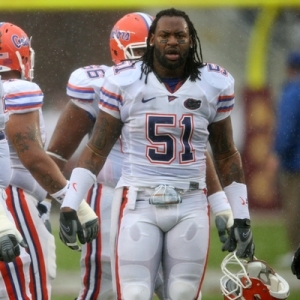 Linebacker Brandon Spikes, who registered 93 tackles last year, leads a unit that returns all 11 starters and was fourth in the nation last year in scoring defense. This formidable unit played a major role in shutting down Heisman Trophy winner Sam Bradford and Oklahoma's record-setting offense in the 24-14 victory for the BCS Championship last season. Tebow, who has two national titles and a Heisman Trophy of his own on his resume, has proven to be the dominant college football player of this decade. He turned down a likely mid-round selection in this year's NFL Draft to return for one last go-round with the Gators, and you can rest assured he plans to make it a memorable one. It's hard to imagine Tebow bettering his 3,000-plus total yards and 40 touchdowns combined passing and rushing, but at this point, nothing he does should come as a surprise. Although the rugged SEC will always offer its share of challenges - sometimes from an unforeseen opponent - Florida's schedule is somewhat manageable by SEC standards. The Gators must face a tough LSU team on the road, and LSU coach Les Miles has proven he'll take every risk imaginable to win a football game. They also must face Georgia in their annual rivalry game. But provided Florida can handle these challenges - and the Gators might even be able to survive a loss and remain viable in the BCS picture - it's difficult to imagine that they won't be back to defend their national title. 2009 Florida Gators Predictions: 12-1, BCS title game appearance.